Traditional Mexican food recipes can sometimes be difficult to come across; all too often, these recipes change over the years. If you’re looking for a no-compromise, traditional Mexican side to serve up with your next taco, fajita, or quesadilla night, you’ve come to the right place. This recipe for traditional Mexican grilled corn is sure to become a favorite in no time at all. Once you have obtained all the ingredients needed, it’s time to get grilling! Start by putting the fresh corn directly on the grill over medium-high heat, turning regularly until the kernels have begun to char and pop. Remove the corn from the grill at this point and let them cool down for a minute before you put a skewer through each of the corn cobs, creating a handle of sorts. Now, mix together the juice of one lime and the mayonnaise, then use a grill brush to evenly apply the mixture onto each ear of corn. Next, sprinkle the cojita cheese onto the corn and top with a little bit of the chile pequin powder. Be sure to do all of these while the corn is still hot so that the cheese will melt. You can add as much or as little of the chile pequin as you’d like; we recommend tasting it first to figure out how much you enjoy on your corn. Serve garnished with a lime wedge and enjoy! Mexican grilled corn can definitely be enjoyed on its own, but it also makes for a great side dish with your traditional Mexican dinner night. 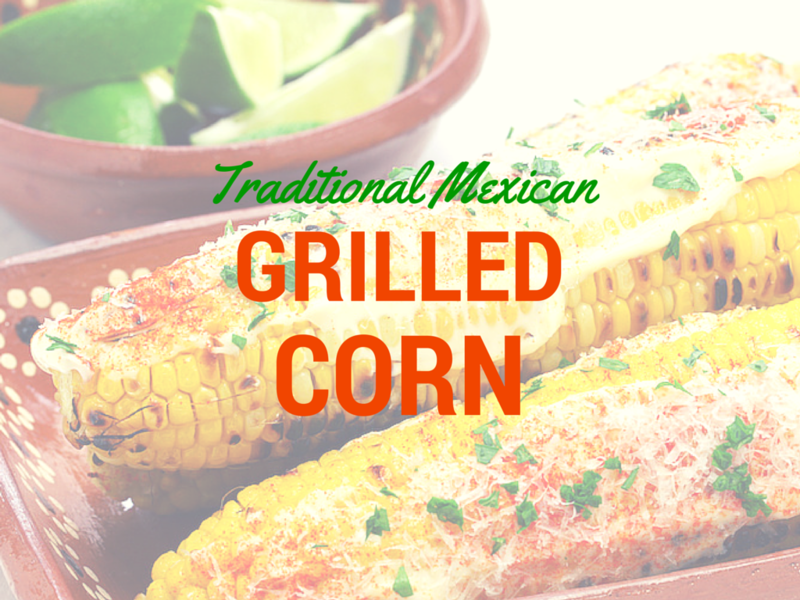 Whether you’re grilling meat and veggies for fajitas, making grilled fish tacos, or anything in between, traditional Mexican grilled corn is sure to make the perfect side dish. Not to mention, it’s a lot healthier and lower in calories than many other Mexican sides. If you’re looking for a fun and delicious way to transform your typical corn on the cob, this is a recipe that’s definitely worth trying! Not wanting to grill up this dish? Stop by the Macayo’s at Scottsdale Road and Shea to try our delicious Mexican corn.